"Personnel extremely friendly and helpful. Great food"
We welcome you Mezőkövesd in a Hotel Nefelejcs***Superior! The capital of Matyóland famous for its folk art and tourism has been enriched with a new hotel. Hotel Nefelejcs *** Superior was opened for the public in February 2008. The Hotel is situated 50 m from one of the most famous thermal baths of North Hungary Zsóry Spa and Open Air Swimming pool. Due to its healing effects Zsóry belongs to the most valuable Hungarian Spas. This water is suitable for the treatment of rheumatic diseases, articular inflammations and wearing, certain gynaecological illnesses, as well as a possible orthopaedic post-operative treatment. 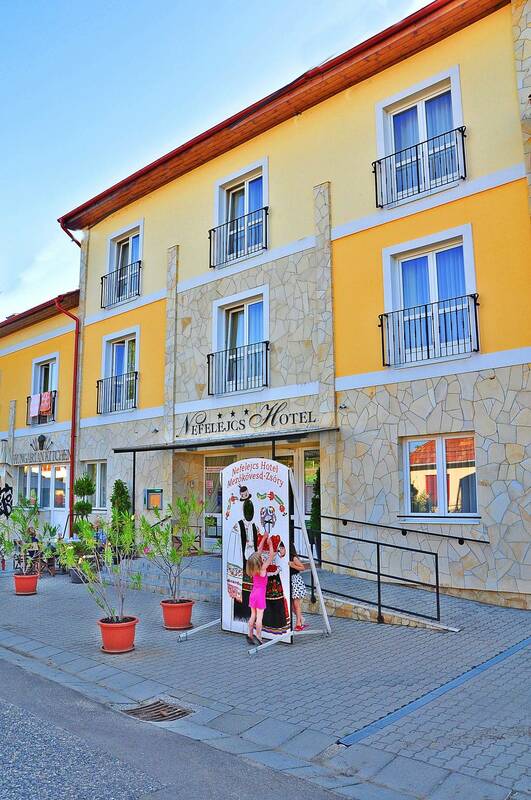 Hotel Nefelejcs *** Superior with its 26 rooms can accommodate 60 persons. 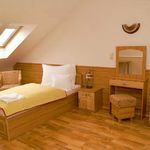 You can find in our comfortable, unique rooms, with a beautiful view, air-conditioners, mini bars, colour TV and internet access. In our wellness resort of high standards you can use free infra and Finnish saunas as well as the jacuzzi. You can have a rest in our solarium and enjoy a complete relaxation with the help of our beautiful healing masseurs who can bring balance to both into your mind and your soul. The Hotel offers personalised treatments for their guests if requested. The hotel is equipped with the most modern technical facilities that makes the 70 person conference hall an ideal venue for any corporate or family events, team building activities, weddings and conferences. Why should you hold your venues with us? There will be no extra fee for our services! Free parking and wifi access provided to all of our guests. Pleasant, relaxed environment in a family atmosphere during the training. Upon request our External (off-site) environment we provide wine tasing in rural areas, outdoor cooking, traditional pig slaughtering, rural olimpics, Barbecue etc which activities are great for team building! Cheap & affordable transfer can be arranged! Our friendly prices accompanied by friendly service. The total capacity of the room is 3 adults. With children under the age of with children under the age of 16, max. 4 people guests can be placed in the room. 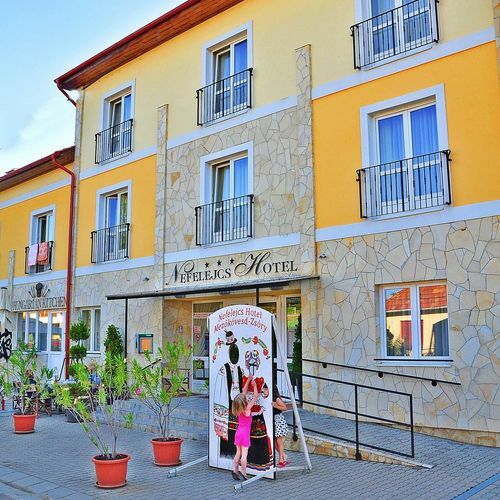 The rating of Nefelejcs Hotel Mezőkövesd is 9.2 from the maximum of 10, based on 244 real guest reviews. "Csendes, kellemes, igazán családias :-)"